Originally operating as Limited Too, Tween Brands changed their Limited Too line and re-branded as Justice in 2008, which now operates over 1,000 local stores in the United States and Canada. 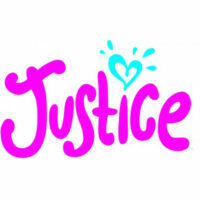 Justice is a unique and fun interactive environment to enhance tween girl’s self-esteem with a wide range of apparel targeted for 7-14 year olds. Justice Application link for a direct application to apply online is located at the bottom. Tween Brands, Inc. has formerly operated as Limited Too, Inc. and Too, Inc., then became a part of Ascena Retail Group after a friendly acquisition by Dress Barn in 2009. Justice is now the largest tween specialty retailer in the world, expanding an international presence in Asia, Mexico, Latin America, and the Middle East. Providing fun and fashion combined, Justice celebrates tween girls and gives them a confident experience. In addition to their retail services, Justice upholds great company values by regularly participating in surrounding communities and taking part in philanthropic initiatives like canned food drives and coat drives in their store locations. Other projects have included stuffing backpacks with educational materials, donating stuffed animals to hospitals, and supporting animal rights. With its fun mission to provide unique and confident clothes to tweens and its behind the scenes philanthropic ventures, Justice jobs can be a great working opportunity. If you are interested in more information pertaining to investing in Justice or Tween Brands, visit the Ascena Retail Group Inc. website for stock exchange values. Justice careers offers several entry-level and management positions in their retail stores with a free application online. Entry-level positions offer competitive wages, with increasing salaries in management positions. These positions include sales associate, merchandise handler, stock associate, sales leader, assistant manager, and store manager. With so many positions available, be sure to read the descriptions carefully and choose the one that is right for you. There are also corporate Justice jobs available ranging from entry-level up to managerial. Corporate openings include but are not limited to finance manager, planning analyst, print and pattern designer, and web production specialist. Most corporate positions are placed in the corporate service center in New Albany, Ohio. Job opportunities for corporate openings can be found on the Justice careers website. How old do you have to be to work at Justice? You must be at least 16 years old, but some positions require a minimum age of 18 so be sure to check the position you are applying for. However, if you are under 18 then you can only work a maximum of 4 hours a day. Some job descriptions are listed below. Both retail and corporate positions come with benefits for full-time and part-time employees. Part-time employees are eligible for 401(k) retirement plans and company savings plans, paid time off, and adoption assistance. Full-time employees are eligible for medical insurance, prescription coverage, dental, vision, life insurance, disability coverage, flexible savings accounts, and stock purchases, in addition to the part-time benefits. The traditional hours of operation are Monday through Saturday from 10:00 AM to 9:00 PM and Sunday from 12:00 PM to 6:00 PM in retail stores; however, hours may vary depending on location and management staff. Justice career hours in the corporate service center are Monday through Friday 9:00 AM to 5:00 PM. Brand Rep – In this position you are responsible for creating a friendly atmosphere, and ensuring customer satisfaction. The company looks for upbeat individuals who are excited to learn, have flexible schedules, and are able to stand for long shifts. Knowledge of the fashion world is a benefit. Duties include helping customers find merchandise, answering questions, restocking and maintaining the sales floor, and running the cash register. Salary is minimum wage. Stock Associate – The stock associate is in charge of keeping inventory of merchandise. On any given day this may include unloading trucks when new merchandise is delivered, putting price tags on store merchandise, restocking the floor as necessary, and re-ordering more merchandise as appropriate. Stock associates are paid $10.00 an hour on average. Assistant Sales Leader – You will be responsible for managerial duties and assisting the store manager. At least one year of management experience and two to four years in the retail industry are preferred; computer proficiency is a must. Responsible for 8-20 Brand Reps per shift, you will provide customer service, assist the store manager with hiring and training, and inspire your sales team. Pay is $12.00-$15.00 an hour. Floor-Set Associate – Floor-set associates execute sales floor designs dictated by corporate offices. This position has infrequent hours and requires no prior training or experience. You must be 18 years old and capable of rearranging product displays and clothing racks. Since this requires some physical work, potential hires must be in fair physical condition and able to follow strict directions. Salary for this position is not stated due to infrequent hours. Here are some typical interview questions to help you prepare. Why do you want to work at Justice? This is a typical question for any interview and you should be prepared to speak about the tween culture and how you want to work in their fun and enthusiastic environment. Do you have prior retail experience? If you have prior retail experience, describe it in detail and relate it to the position you are interviewing for. If you do not have retail experience or are someone younger who is looking for a first job, then be honest about that fact and describe any skills you have that make you a great candidate to work in a retail position. What are your strengths and weaknesses? This is another typical interview question to see how you present yourself. You can go with simple strengths like being on time, friendly, or outgoing and go with weaknesses that don’t affect your ability to do the job you are interviewing for and that can simultaneously be turned into a strength (or something that used to be a weakness but is now a strength). Pick an outfit for a little girl and sell it. This question is to see how your personality and ability to interact with clientele will enable you to do your job. Just remember that your clientele are young tween girls who are looking for a fun experience and outfit to take home. For retail positions, be prepared for unique questions like, What was your favorite color as a girl growing up? or What kind of toys or dolls did you like to play with? With these questions the interviewer is simply looking to see if you can relate to the tween clientele that come in. Keeping a positive attitude throughout the entire Justice applications process is the best approach. Remember when you apply for employment at Justice that they have a reputation as a fun and upbeat fashion retailer targeting tweens and they expect any employee they hire to uphold that image. Favor will be shown to individuals who can perform their job efficiently and act as role models for the young clientele that they sell to. When looking into how to apply to Justice online, resume and interview process are the two most important aspects. Resumes should highlight retail experience and work with young girls. If called in for an interview, dress to showcase your personal style and knowledge of the fashion world but stay professional. The actual interview portion of the application process is just as important. Preparing for the interview by practicing potential interview questions and answers will help you feel and sound prepared and professional. Be sure to study up on the interview questions above and look up additional interview questions that may be helpful. Fill out the Justice job application online carefully (download application form; there is no printable application form for Justice). The Justice jobs online application system does not allow applicants to check their status but do call the store and speak to the hiring manager who conducted your interview if you have questions. Expect two to four weeks for a job offer after completing your interview.